Hidden Experience audio interview with pioneer crop circle investigator Colin Andrews. Harmony with the Huldufolk: Why so many Icelanders still believe in invisible elves. Dark matter experiment has detected nothing. Has Thomas Fusco been vindicated? NASA UFO pictures From the mysterious, to the mundane. UFO fires laser at parked car in Michigan. Those damn aliens, always trying to ruin second base! 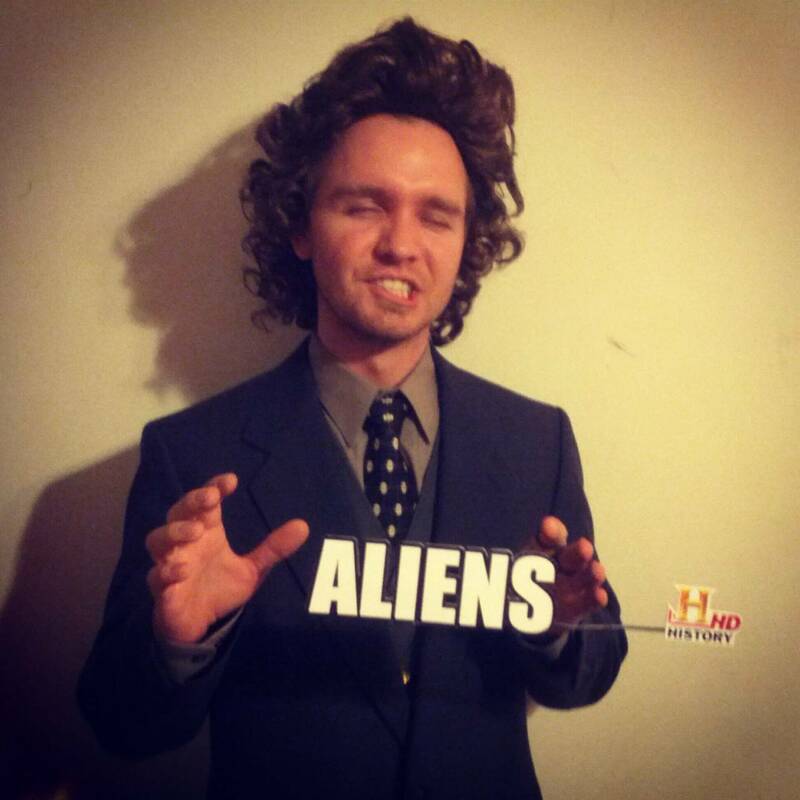 If you apply for a job in the CIA, you might get interviewed by an alien [Part 1] [Part 2]. Albert Rosales: Not Your Grandmother’s Humanoids [Part 1] [Part 2]. Martin J. Clemens’s take on the Klerksdorp spheres. A drug can reduce your gambling addiction –if you’re a rat, that is. Turn on, tune in & drop by the New York Public Library, where the Timothy Leary’s archives are now publicly available. Are psychics who perceive ‘auras’ synaesthetes? Ectoplasm: When parapsychologists were looking for icky ether. The Strange Case of Bernadette Button: 20-year-old woman dies looking like a toddler. Remote ‘lost world’ discovered in Australia –no doubt filled with scary critters that can kill you 10 times before you drop. Red Pill of the Day: Naturalist Sir David Attenborough’s opinion on Miley’s twerking. Thanks to Rick, and to Greg for filling in for me during my Paradigm holiday. needs more Coldplay, but very funny. My hat is forever tipped.